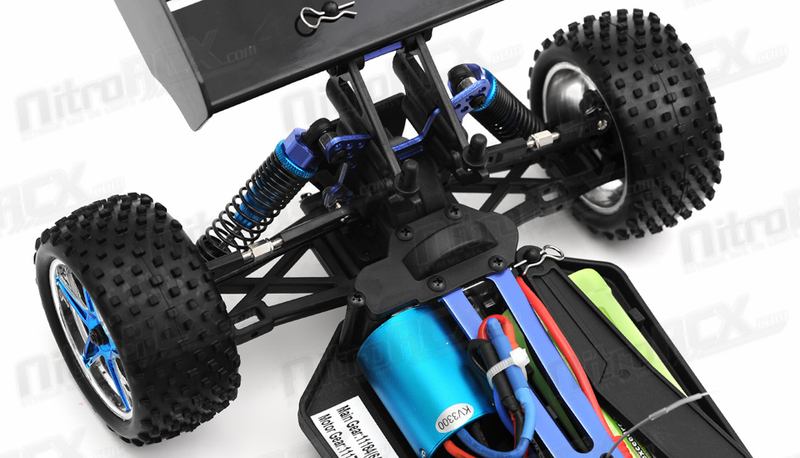 The popular 1/10 scale four wheel drive electric powered off-road buggy has evolved into an exciting new platform. 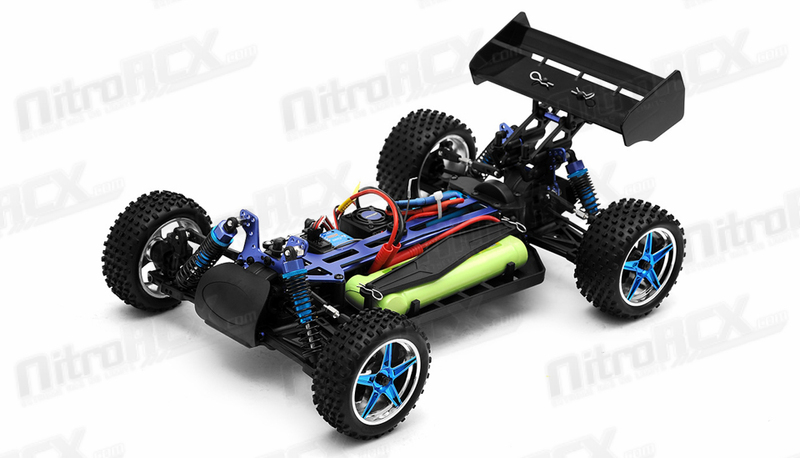 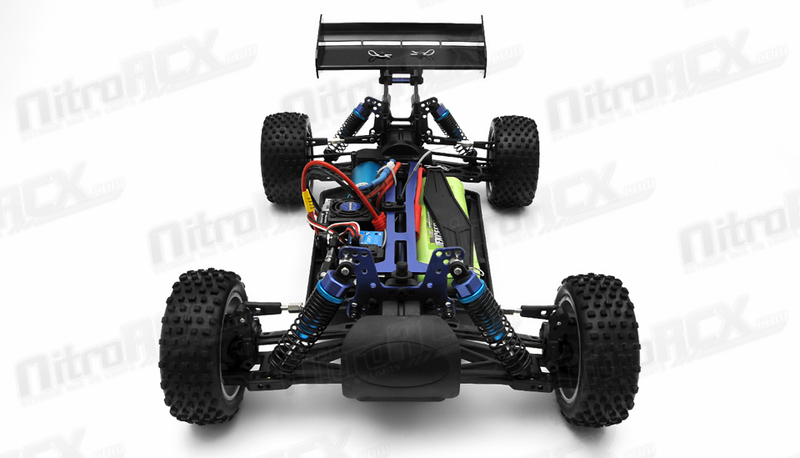 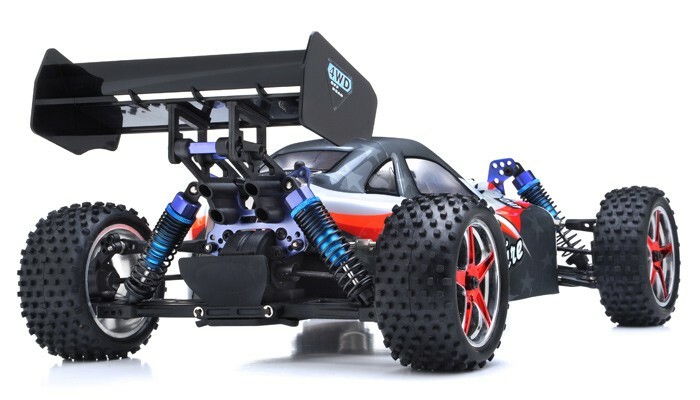 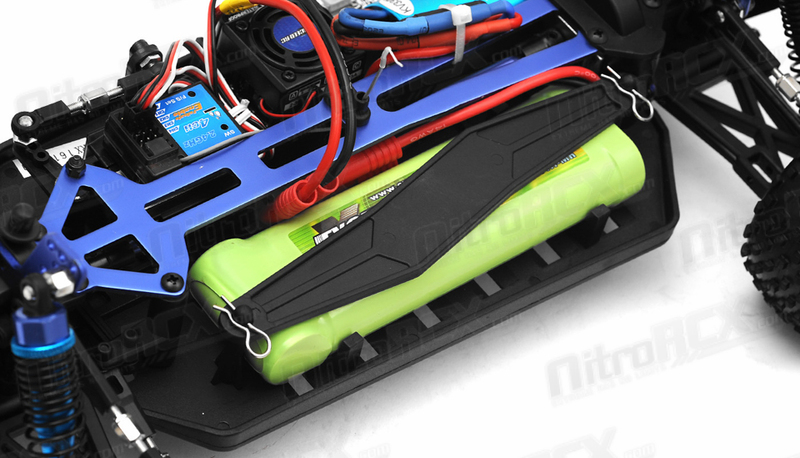 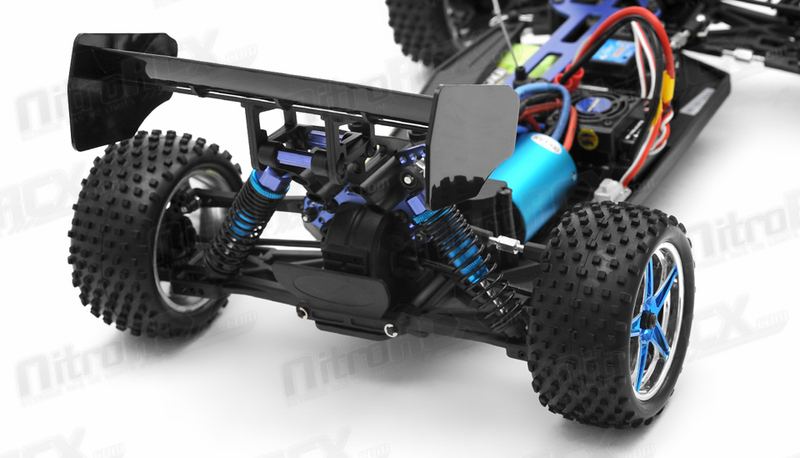 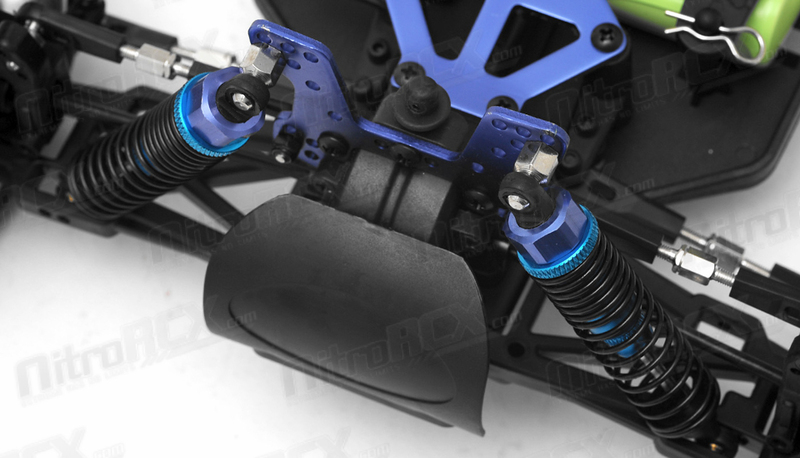 At each evolutionary step, the SunFire Brushless Pro has been improved upon to keep it at the peak of the buggy class. 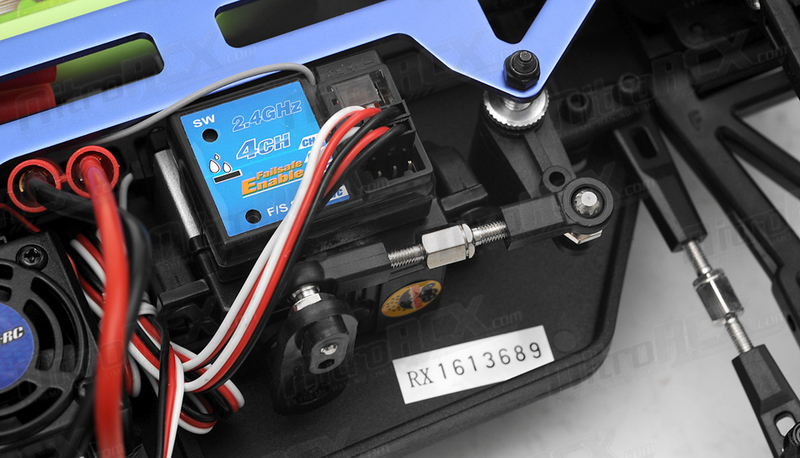 So how did Exceed make the SunFire Brushless Pro even better? 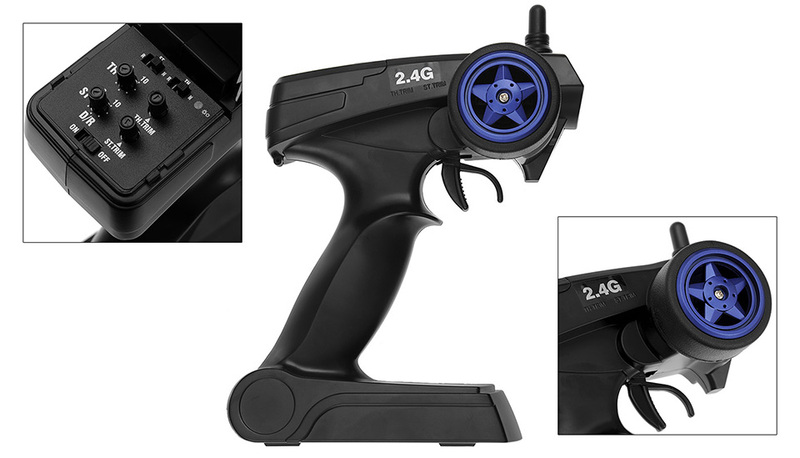 The focus of our improvements was on increasing speed, more adjustability, and increasing durability. 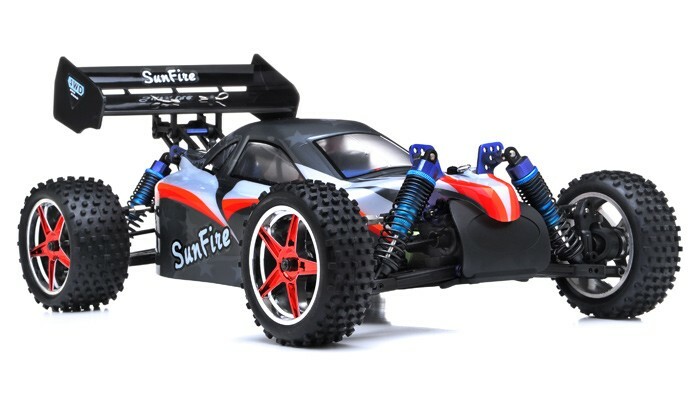 Now the updated SunFire Brushless Pro is packed with features that have been suggested by SunFire owners. 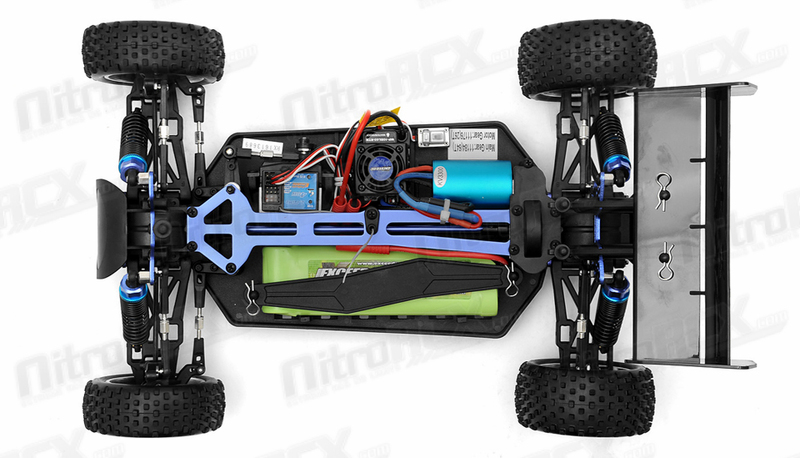 There's more room for electronics, easier access to the differentials, more control over suspension adjustments, a more powerful programmable ESC, and sealed gears. 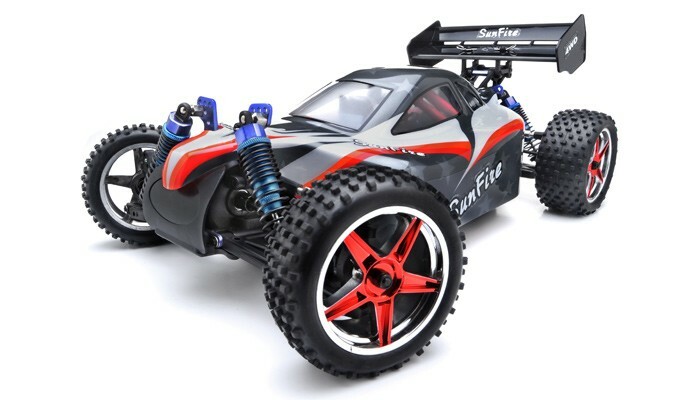 Designed using the latest in Brushless technology, the result is nothing less than the best SunFire Brushless Pro ever. 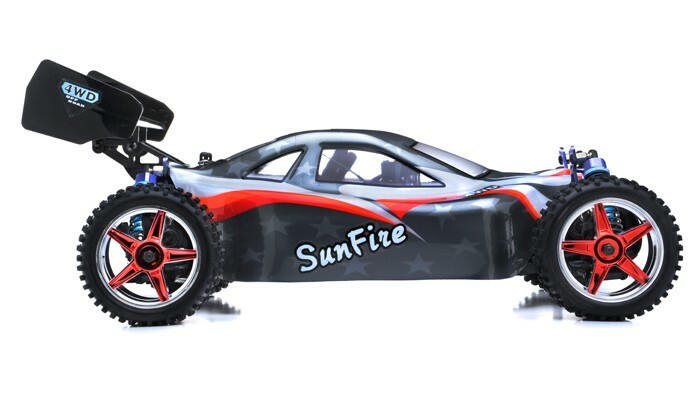 The Brushless SunFire Pro is equipped with a 3-position adjustable wing which allows the driver to control the amount of down force being applied during driving. 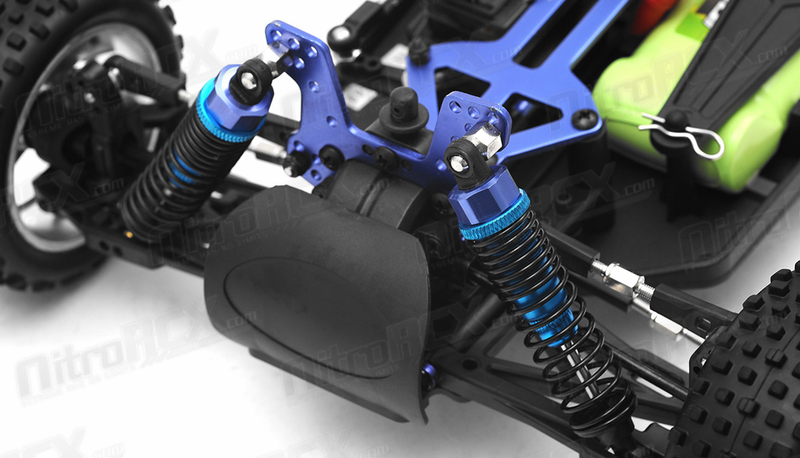 It is also equipped with aluminum threaded shock bodies which allows the preload of the springs to be quickly and easily tuned. 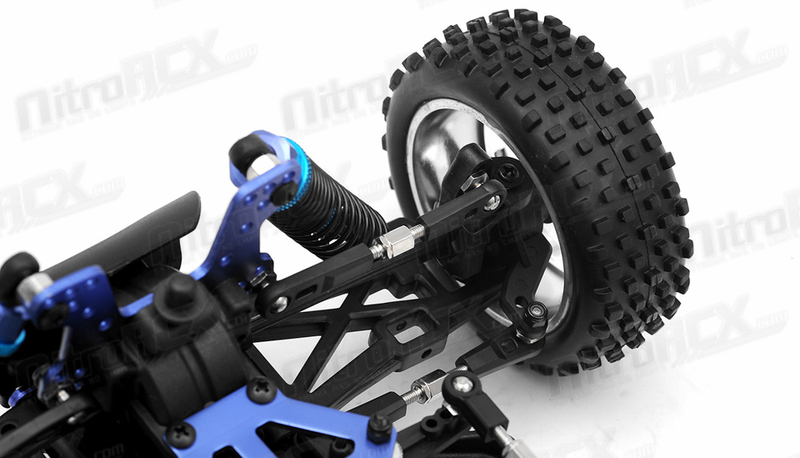 The camber and toe are also easily adjusted through the use of aluminum turnbuckles on the steering linkages. 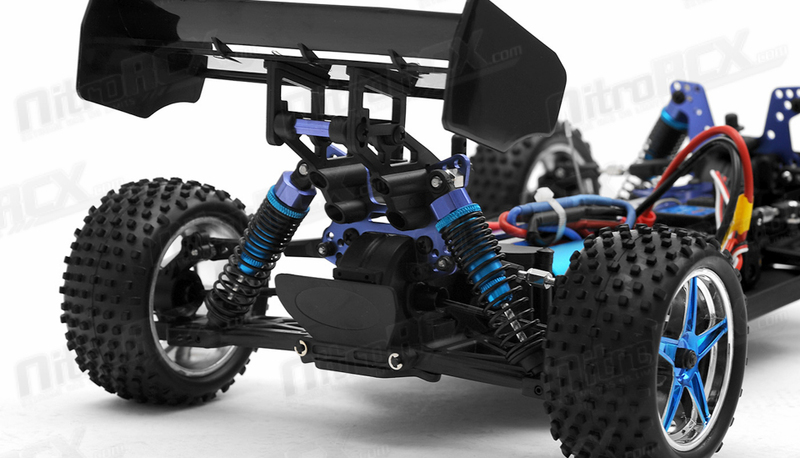 These combined features allow the user to quickly and easily tune the suspension geometry on the new Brushless SunFire Brushless platform. 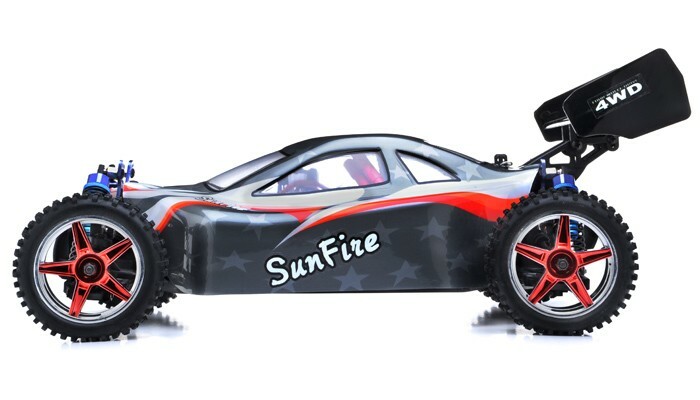 The SunFire Brushless Pro is powered by a Sensorless Brushless Motor rated at 3300KV @ 12Turns and a programmable 60amp ESC, that�s capable of handling 4-7s Nickel batteries or 2 to 3s lipo capable (changing jumper is required). 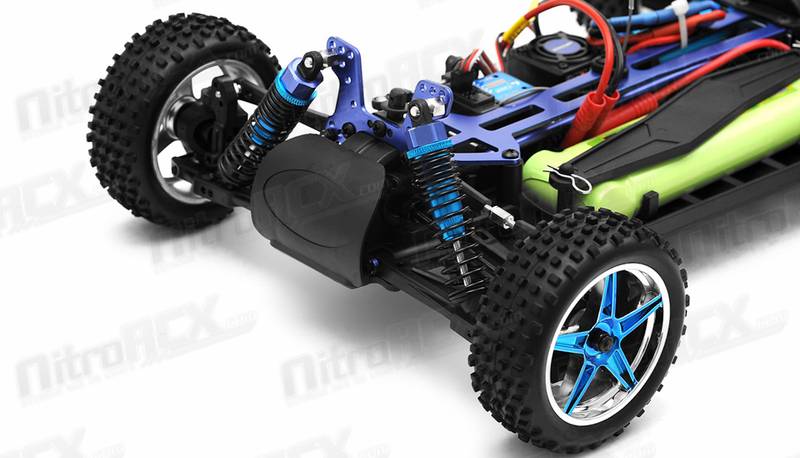 This new powertrain is easily capable of providing reliable and consistent power for extreme off-road driving. 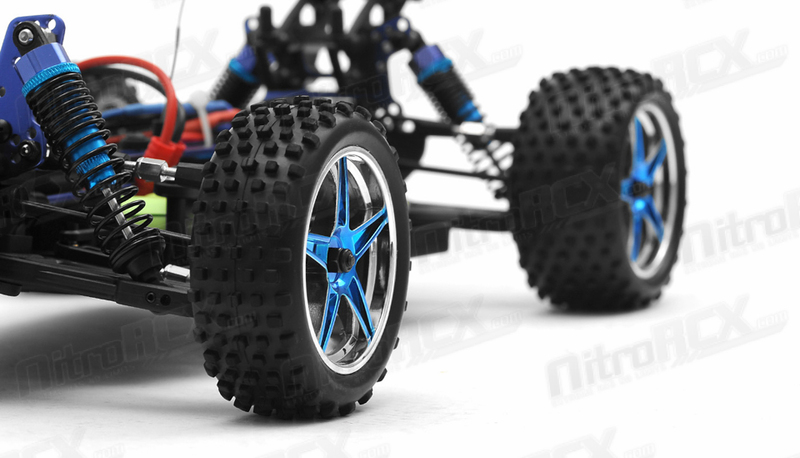 Best of all, the motor and transmission are both completely sealed to prevent dirt and grime from getting in and causing damage. 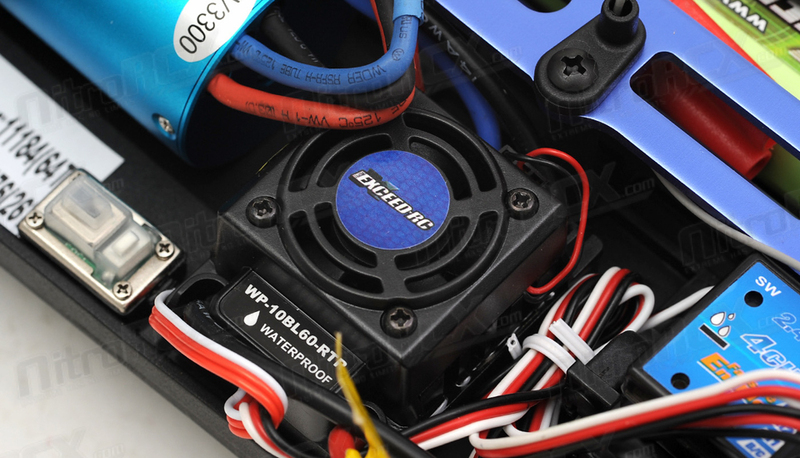 This motor has been proven to be both durable and reliable, making the new SunFire Brushless Pro a welcomed addition to the latest Exceed RC line. 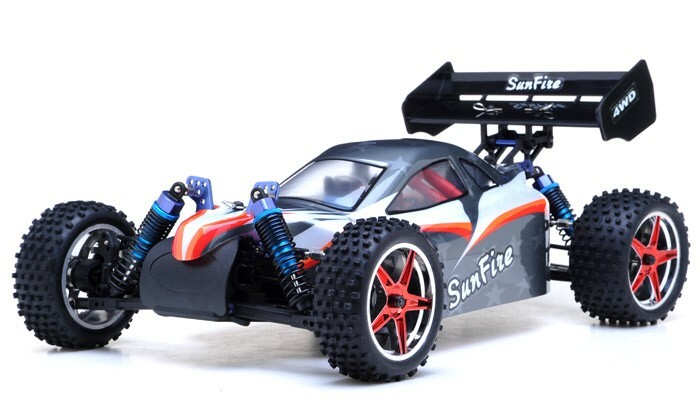 With 24 exciting color schemes to choose from the SunFire Brushless Pro is sure to be a favorite for RC enthusiasts everywhere. 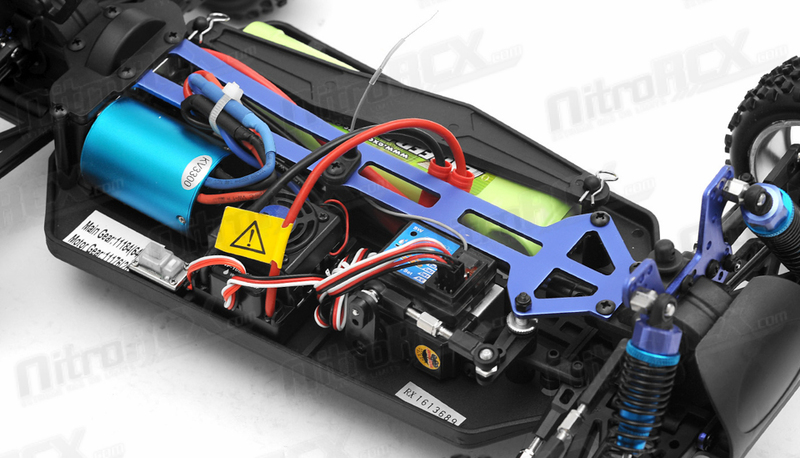 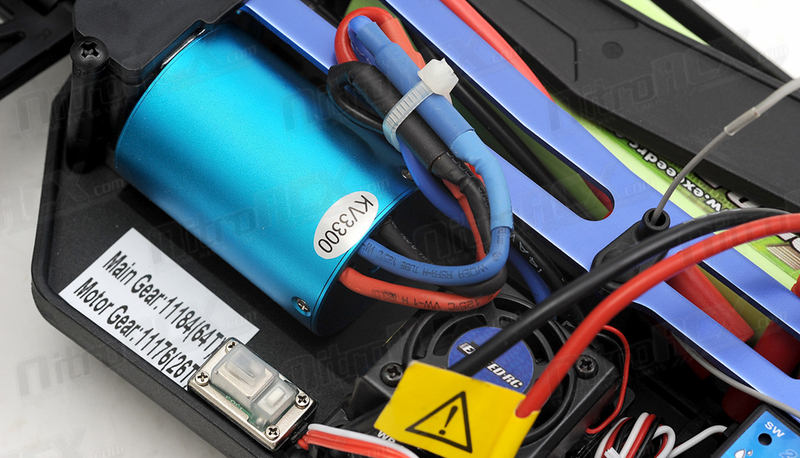 60amp ESC is rated for 4-7s Ni-Mh batteries or 2 to 3s lipo capable (changing jumper is required) Using a battery with higher voltage can damage esc or motor.